Comfortable, lightweight and easy-to-use, the new and improved Kegel8 Biofeedback Pelvic Trainer Vaginal Probe is an ideal spare to use with your new style Kegel8 Trainer. 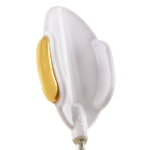 The new and improved Kegel8 Trainer Vaginal Probe is designed especially for use with our new style Kegel8 Biofeedback Pelvic Trainer, available from October 2014. The special inflatable design works with your Kegel8 Biofeedback Trainer to help with your Kegel8 exercises. 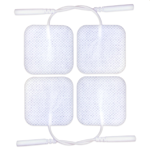 In Test Mode you will squeeze against the probe to discover your Squeeze Scale and in Train Mode, by squeezing against the probe, you can ensure that you are carrying out your Kegels perfectly, every time. Please check you have chosen the correct replacement probe for your Kegel8 Trainer unit. This probe is for the new and improved Kegel8 Trainer unit, available from October 2014, that inflates the probe automatically. Another way to check, is by looking at the connector that fits in to your Kegel8 Trainer unit, shown in the product image. If you bought your Kegel8 Trainer before October 2014 and need a replacement probe, you can find the correct one here. It is a delicate measuring instrument - please do not squeeze and test it with your hand, otherwise it will not be able to read the strength of your pelvic floor muscles! The new and improved Kegel8 Trainer Vaginal Probe comes complete with air-line tubing ready for use. Your Kegel8 Trainer Vaginal Probe is a sensitive measuring device, so it's important to take good care of it. 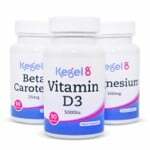 After every use, you should clean your probe with Kegel8 Klean and store it safely in the original packaging.